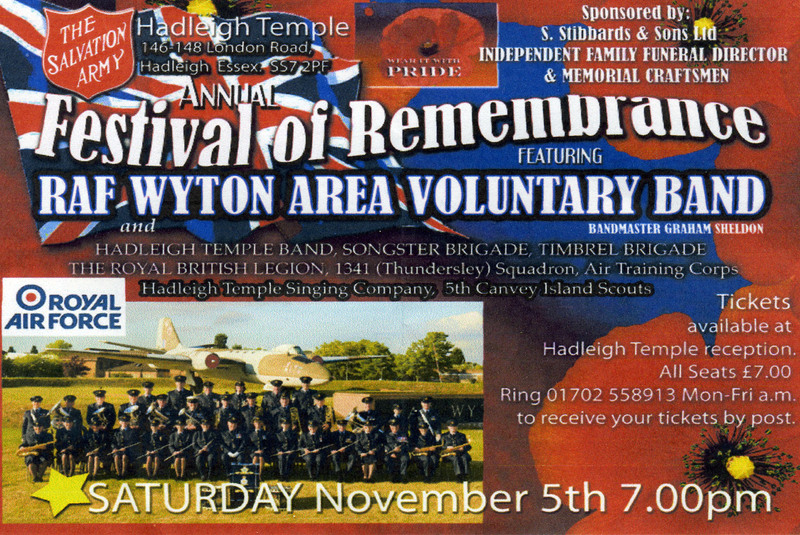 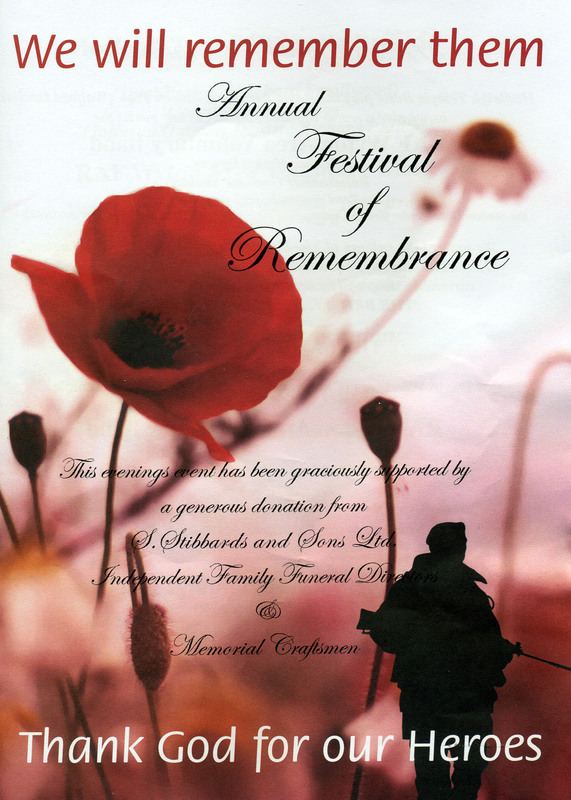 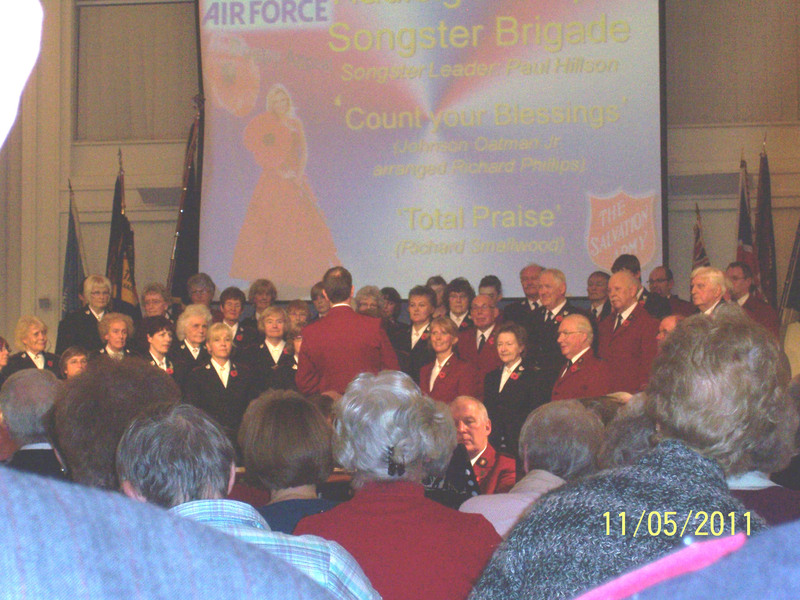 The sixth annual Festival of Remembrance was held in the Hadleigh Temple Salvation Army on the 5th November. The visiting band this year was the RAF Wyton Area Voluntary Band under the direction of bandleader Graham Sheldon. 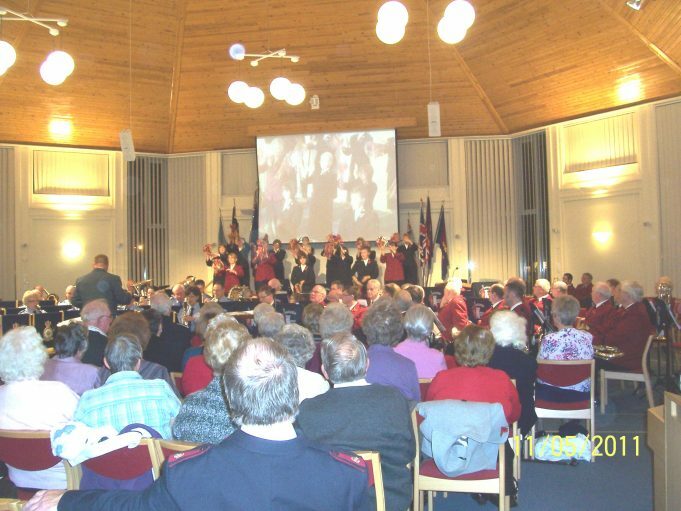 The programme included musical items from the Salvation Army Temple Band, the Hadleigh Temple Timbrel Brigade and the Hadleigh Temple Songsters Brigade. 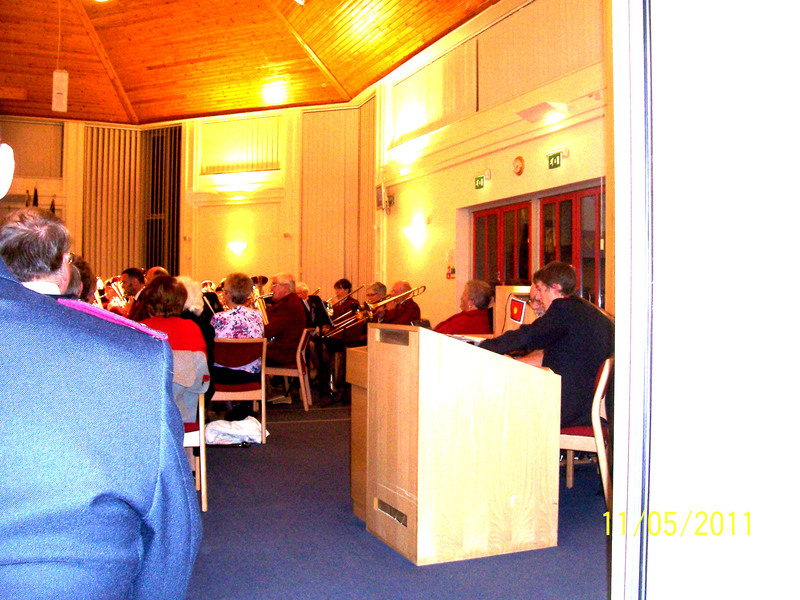 Thundersley Air Training Corps served as ushers for the evening. 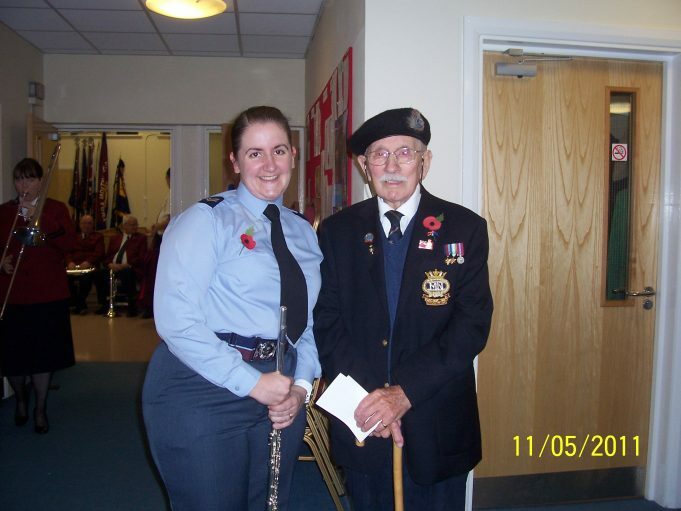 Former servicemen were there wearing their medals, poppy petals fell and two minutes silence was observed. Guests included Castle Point MP Rebecca Harris and the area’s deputy Mayor Peter Burch and Castle Point Council leader Pam Challis. 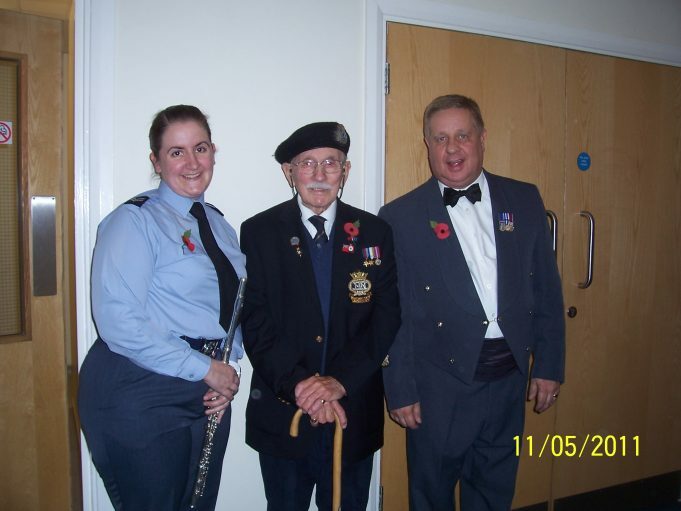 My Granddaughter in Law was one of the flute players in the RAF Wyton Band, Laura Fogg. 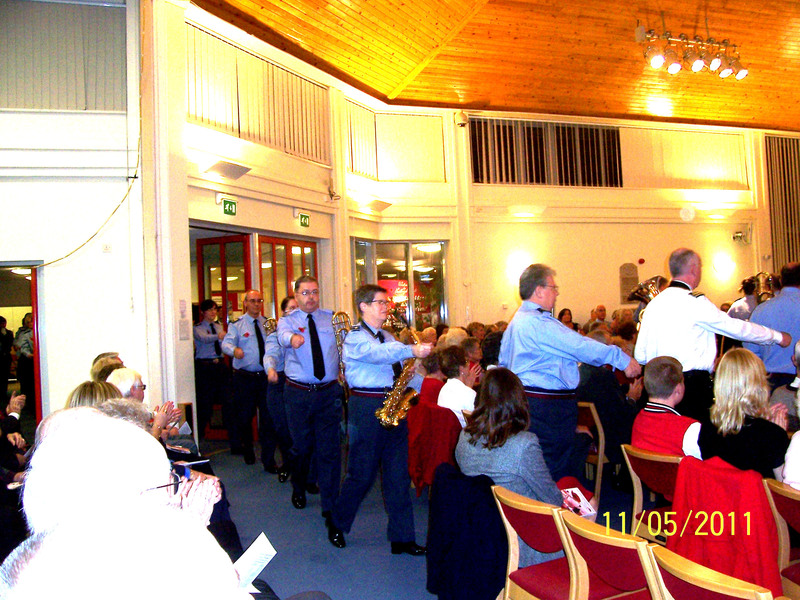 RAF Band marching into the hall.